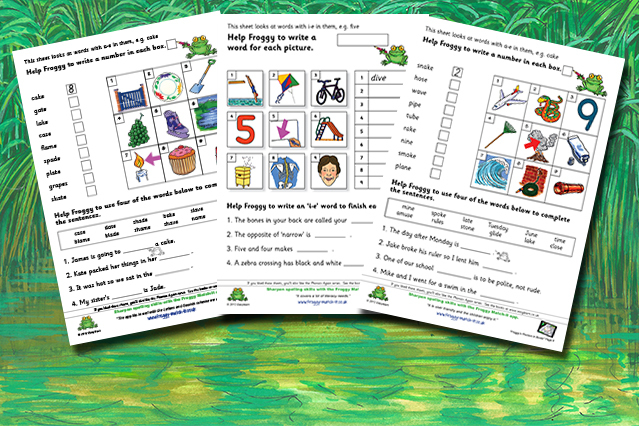 Each month, Froggy Match-it is making more phonics worksheets available and they are absolutely free! These are in addition to the free writing sheets that accompany each level of the app. This month the extra sheets are called Froggy’s Phonics in Boxes. They are useful for all children learning phonics and deal with phonics words with long vowel split digraph: words such as kite, cake and home. The sheets are ideal for children using level 7 of the app. Download them now. If you are a parent or a teacher, please tell your friends and colleagues about these extra free sheets. They do not need to have purchased the Froggy Match-it app to obtain them and the sheets are easy to download, free of charge, from the website. People who subscribe to our mailing list will receive information, once a month, about the extra free sheets as they become available. Click the Subscribe link at the foot of this page.